Ohio will debate a bill that makes it illegal to discriminate on the basis of sexual orientation or gender identity next month. 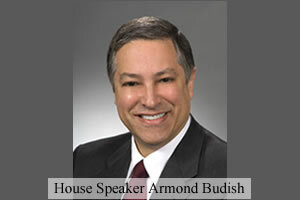 House Speaker Armond Budish, a Democrat from Beachwood, has promised Rep. Dan Stewart's Equal Housing and Employment Act (EHEA) will be among the first the chamber takes up when lawmakers return in the fall. Budish spoke to Cleveland daily the Plain Dealer of his plans. While much of the debate on gay and lesbian rights is dominated by the right to marry and the right to serve openly in the military, Ohio – like the majority of states – is struggling to provide basic rights to gay men and lesbians. Voters in Ohio passed a constitutional amendment that bans both gay marriage and civil unions in 2004. Support for gay protections appears strong in Ohio. A June Quinnipiac University poll found that a majority (57%) of voters favor EHEA, with 35% in opposition. And the bill has attracted the support of 27 Democrats and two Republicans in the 99-member House. Still, passage is not a forgone conclusion, especially in the Republican-led Senate, where the bill has yet to be introduced. Kim Welter, program manager for education and outreach at Equality Ohio, a group that lobbies on behalf of the LGBT community, told On Top Magazine that passage in the Democratic-controlled House is fairly certain. “The yes votes are holding,” she said, referring to last year's House approval. The inclusion of transgender protections in Ohio's bill has not drawn the fire that it has in other states, North Dakota, New Hampshire and Massachusetts included, but similar testimony was heard during the bill's House State Government Committee hearing held in June. When asked if her group had been pressured to drop the transgender provisions, Welter said some had suggested the modification would make the bill an easier sell, but said her group never considered it. “We would not support a bill that did not include gender identity,” Welter said. Whether a fully inclusive bill lessens the chances of approval is questionable. Several municipalities and states attempting to pass bills that only cover sexual orientation have run into just as much opposition from socially conservative and religious groups. In Anchorage, Alaska the public outcry against the inclusion of transgender persons was so loud that lawmakers cut them out of a final gay protections bill, but opponents remained unsatisfied. One draft of the bill being circulated actually made it lawful to discriminate against gay men and lesbians. In the end, the entire bill was shelved as a new, unsympathetic mayor was installed. President Obama supports similar federal legislation being considered by Congress that bans employment discrimination on the basis of sexual orientation and gender identity. The Employment Non-Discrimination Act (ENDA) was introduced in the Senate Wednesday.